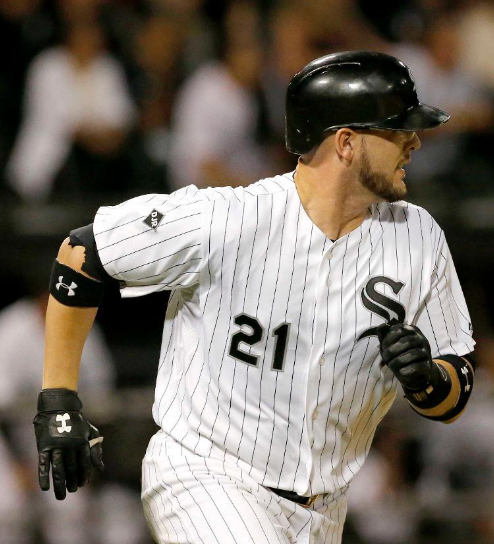 Tyler Flowers hit a 9th inning game tying homer and then launched a walk off homer in the 12th as the White Sox stunned the A’s, 5-4. Marcus Stroman threw a complete game 3 hit shutout, walking no batters and striking out 8 Cubs as the Blue Jays won 8-0. Carl Crawford reached base 4 times, including a homer, drove in 3 runs and scored 2 in the Dodgers 9-4 win over the Padres. Jeff Locke allowed just 3 hits and no walks while striking 9 Phillies out over 7 innings of 1 run ball. 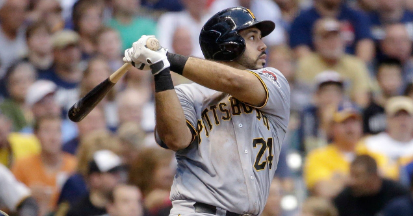 He got the decision as the Pirates topped the Phillies, 6-4. They owned baseball on Sept 8, 2014. 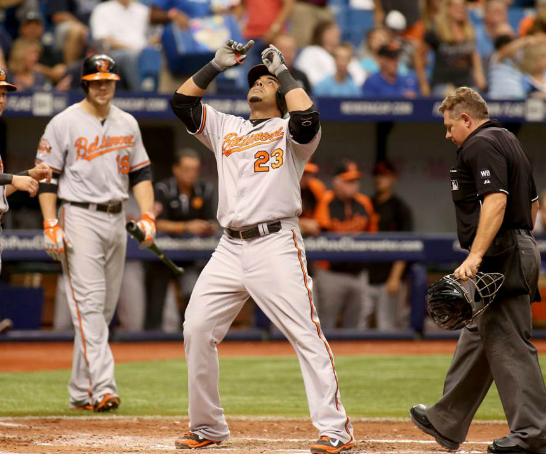 Nelson Cruz nearly hit for the cycle, reaching base 5 times, tripling, homering twice, including in the 11th inning, and driving in all of Baltimore’s 7 runs, leading the way to a 7-5 victory in Tampa Bay. Adrian Gonzalez hit a 3 run homer in the 6th inning to give the Dodgers the lead and hit another 3 run homer the next inning to pad the score, leading the Dodgers to a 7-2 win against the Diamondbacks. Carlos Carrasco pitched into the 9th, finishing with 8 2/3 innings of 4 hit, shutout ball, striking out 8 White Sox while walking none as Cleveland won, 2-0. Adam Wainwright pitched a complete game, allowing 7 hits and 1 run and earning his 17th win for the Cardinals this season in the 9-1 blow out in Milwaukee. 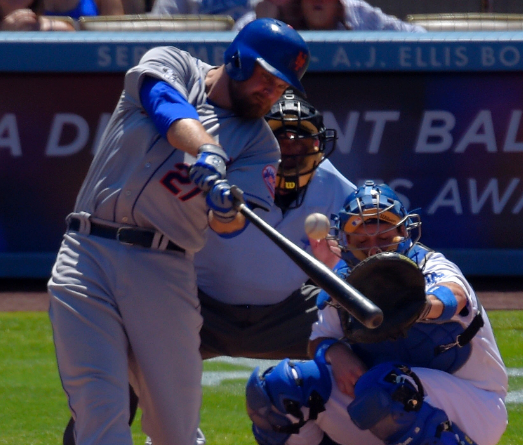 They owned baseball on Sept 7, 2014. 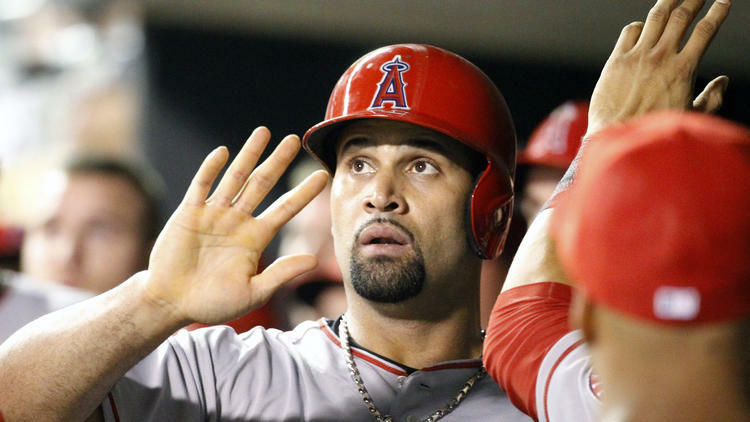 Albert Pujols went 3-5, scoring 3, driving in 3, homering and clubbing a go ahead 9th inning 2 run double to help the Angels come from behind and win 8-5 in Minnesota. Buster Posey sparked a Giants attack by getting on 4 times, scoring twice and launching a homer in San Francisco’s 5-4 victory against Detroit. Corey Kluber went the distance with a 5 hit complete game, allowing just 1 unearned run and helping the Indians keep their faint playoff hopes alive, 3-1 over the White Sox. 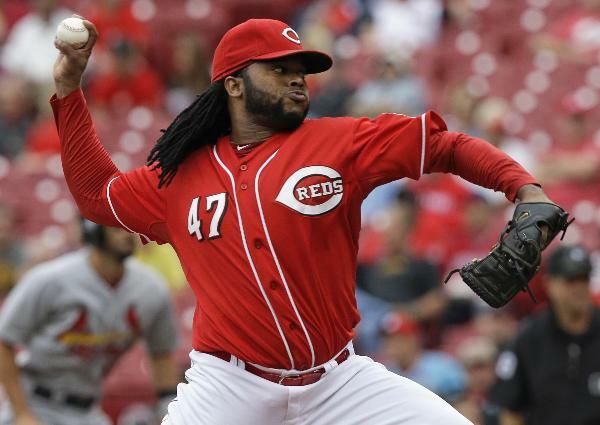 Johnny Cueto went 7 strong innings, allowing 6 hits and 1 run, earning the 2-1 win for the Reds over the Mets. They owned baseball on Sept 6, 2014. 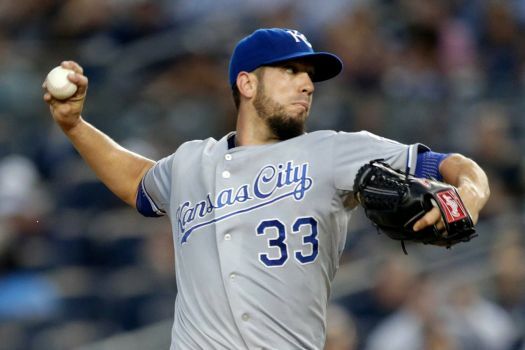 James Shields pitched shutout ball into the 9th, finishing with 8 1/3 scoreless innings allowing 3 hits and no walks as Kansas City shutout the Yankees 1-0. Tyler Matzek threw a complete game 3 hit shutout in Coors Field, walking 1 while striking out 6 Padres, earning the 3-0 Rockies victory. Yoenis Cespedes collected 4 hits, included a double, stole a base and drove home the game winning run as the Red Sox walked off 9-8 winners in 10 against the Blue Jays. 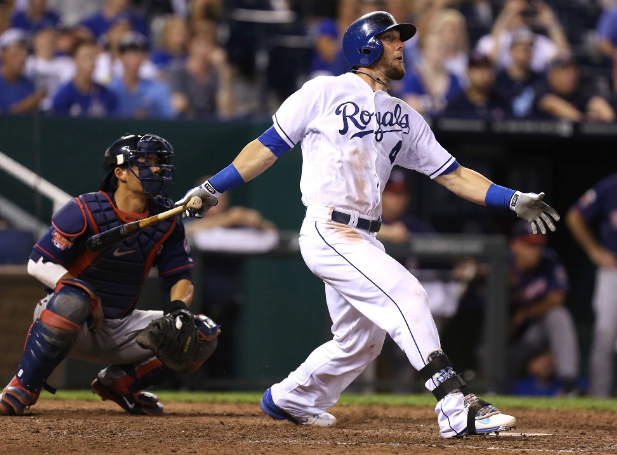 Travis d’Arnaud reached base 4 times including a homer, scored twice and drive in 4, leading the Mets to a 14-5 laugher in Cincinnati. They owned baseball on Sept 5, 2014. 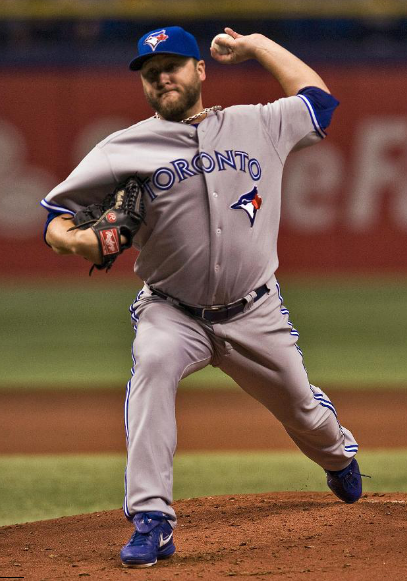 Mark Buehrle threw 8 shutout innings, allowing 5 hits and 1 walk. 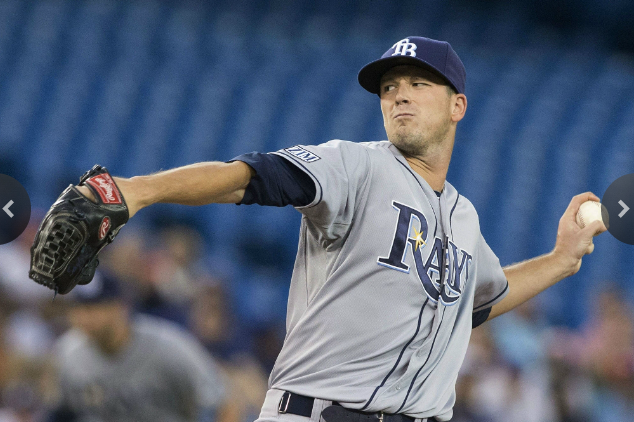 He did not get the decision but helped pitch the Blue Jays to a 1-0 ten inning victory in Tampa Bay. Victor Martinez reached base 4 times including a back breaking 3 run homer in the 11th that helped the Tigers hold on and defeat the Indians 11-4. 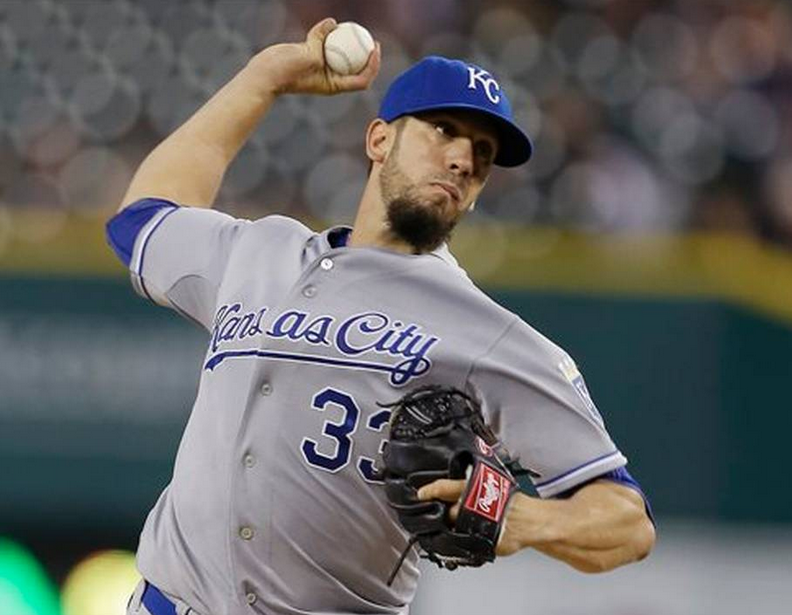 Randall Delgado pitched 5 innings of 2 hit shutout ball before being lifted for a pinch hitter. He would get the 5-1 win for Arizona over San Diego. A.J. 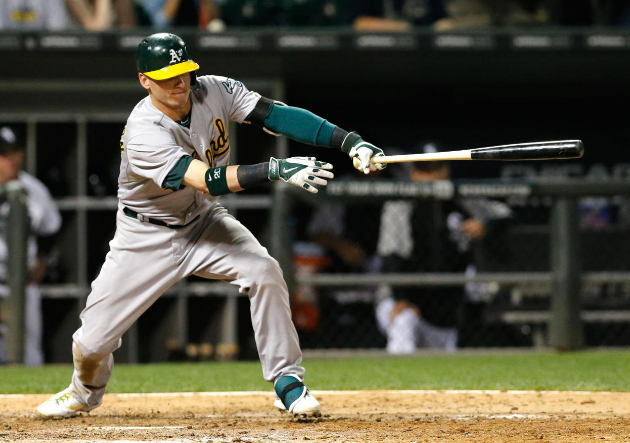 Pollock went 3-4 with a stolen base, a double and a run scored helping the Diamondbacks top the Padres, 5-1. They owned baseball on Sept 4, 2014. 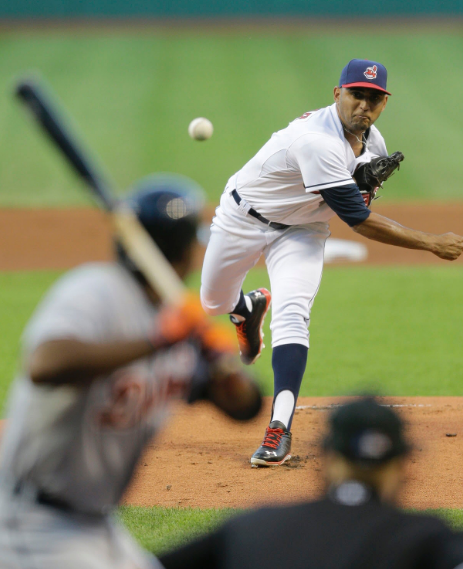 Danny Salazar came up big in an interdivision matchup, throwing the first complete game shutout of his career, walking none, striking out 9 and scattering 8 hits as the Indians dominated the Tigers, 7-0. Brian McCann went 4-4 with a homer and 3 RBI, leading the Yankees past rival Boston, 5-1. Josh Collmenter pitched 7 strong innings, allowing 5 hits and 1 run, earning the 6-1 decision for the Diamondbacks in San Diego. Adam LaRoche came off the bench to swat a game tying pinch hit homer in the top of the 9th. He would stay in the game to drive in a total of 5 runs, driving in runs in two extra inning rallies, and leading the Nationals to a wild 8-5 victory against the Dodgers. They owned baseball on Sept 3, 2014. 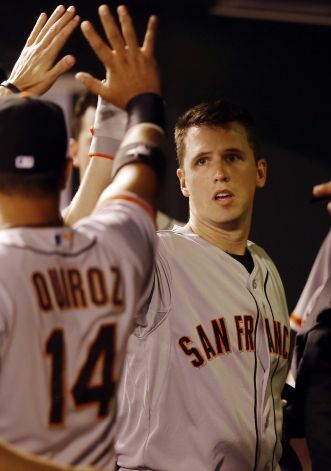 Buster Posey homered and hit a pair of doubles, driving in 4, leading the Giants in a wild comeback against the Rockies, 12-7. Jose Altuve went 4-5 with a homer, a pair of doubles, 3 runs scored and 4 RBI, helping the Astros stun the Angels, 8-3. 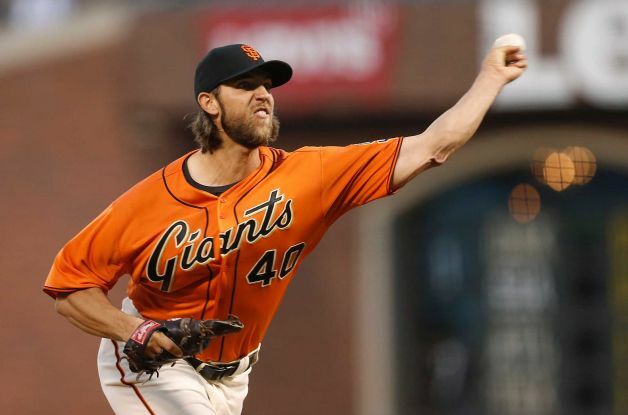 Clayton Kershaw allowed 3 hits (including a solo homer) 1 run, and 2 walks while striking out 8 Nationals while getting the 4-1 decision for the Dodgers. James Paxton pitched shutout ball into the 8th, finishing with 7 2/3 innings, 4 hits and 2 earned runs as the Mariners held on in Oakland, 6-5. They owned baseball on Sept 2, 2014. 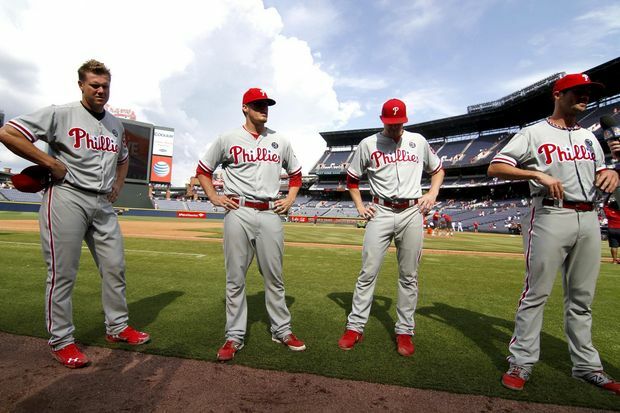 Cole Hamels pitched the first 6 innings of a combined no hitter as the Phillies topped the Braves 7-0. 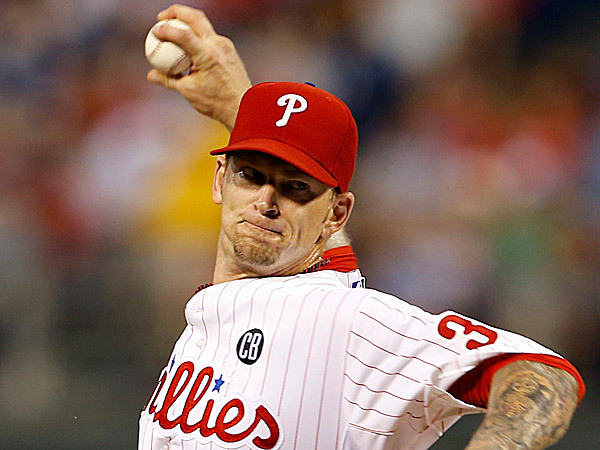 Jake Diekman, Ken Giles and Jonathan Papelbon all receive 1/2 WOB’s for their role in the no hitter. 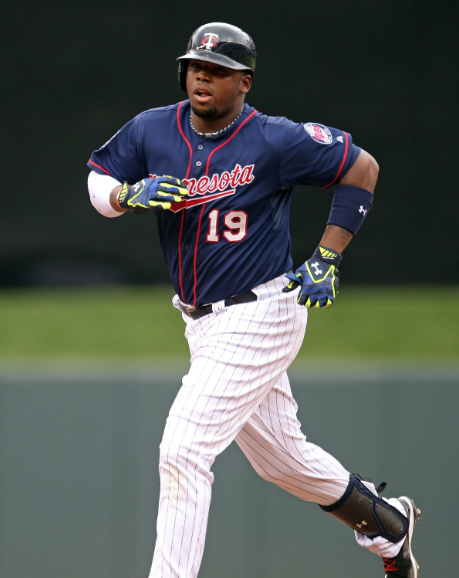 Denard Span homered twice, driving in 3, as the Natonals beat the Dodgers 6-4. Phil Hughes threw 8 innings, allowing no earned runs (3 unearned), striking out 5 and walking none, earning the 6-4 win for the Twins in Baltimore. Miguel Cabrera went 4-5 with 2 homers, helping the Tigers hold back the Indians, 12-1. They owned baseball on Sept 1, 2014. 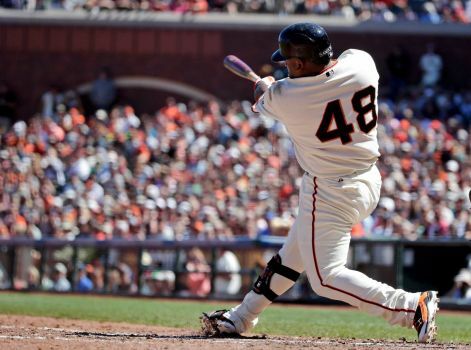 Pablo Sandoval missed the cycle by a double, got on base 4 times, scored 3 and drove in 3, leading the Giants to a sweep of the Brewers, 15-5. Alex Wood threw 8 shutout innings, allowing just 5 hits and no walks while striking out 12, winning the tight 1-0 game for the Braves over Miami. 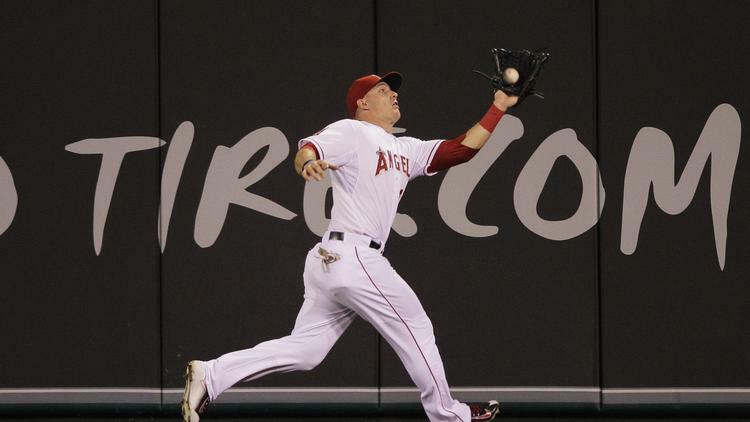 Mike Trout went 2-4 with a homer and 3 RBI, leading the Angels to a crushing 4 game sweep of the A’s, 8-1. They owned baseball on Aug 31, 2014.